Haines & Lagerquist CPAs has been a proud member of the Maryland business community since the firm’s formation. 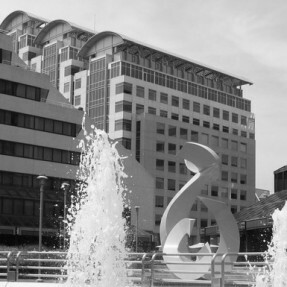 As a full-service accounting firm based in Silver Spring MD, the firm or its personnel have worked with clients throughout Montgomery County including engagements in Bethesda, Chevy Chase, Gaithersburg, Rockville and Silver Spring. In addition, Sylvia Lagerquist, CPA, the firm’s President, is an active partner with the Maryland Women’s Business Center, headquartered in Rockville MD. Haines & Lagerquist CPAs is also actively engaged with clients in Prince George’s and Anne Arundel counties. In Anne Arundel County, we’ve worked with companies in Annapolis, Glen Burnie, Hanover, Riverdale and other communities along the Baltimore-Washington corridor. Learn more about the firm’s four service areas, including Tax & Compliance, Bookkeeping & Accounting, Accounting Systems and Outsourced CFO. Partner with proven accounting experts.